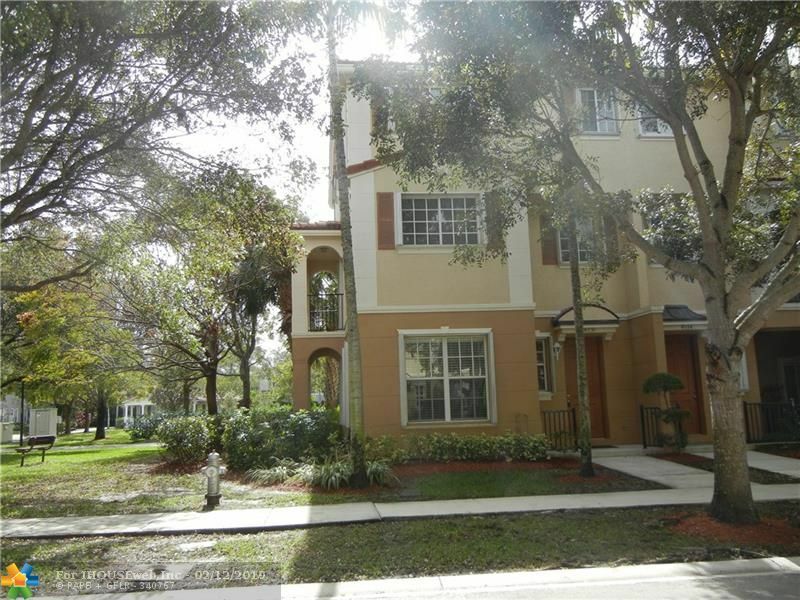 Nice large townhouse in a great neighborhood, excellent location with easy access to 95 and Florida Turnpike. One of the best private locations in Bexley Park. This is a corner private unit next to garden area with a garden view from the balcony. 3 beds in third floor and a bonus guess/study room in the first floor. Accordion shutters all around. Tile in kitchen and main areas, new laminate floors in bedrooms area and stairs. Lot of storage and built-in closet in all bedrooms. 2-car garage. Pet friendly neighborhood. Directions: From 95 Take Atlantic West To Congress North To Lake Ida West. North On Bardwick, Community Is On Left.